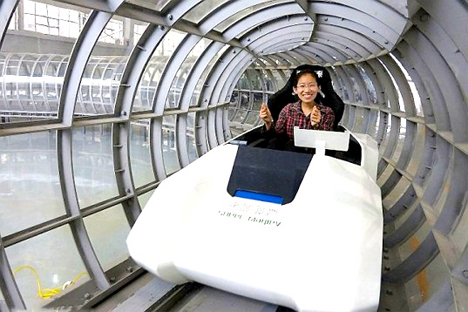 As far as super-fast maglev trains go, China has long been the undisputed champion with their 267 MPH Shanghai Maglev Train. But Dr. Deng Zigang of Jiaotong University may have just bested his own country’s record. 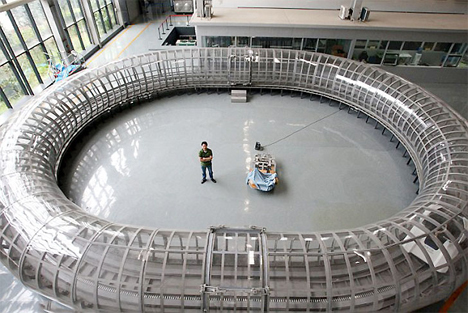 His super-maglev loop train could allow future commuter trains to travel at mind-blowing speeds of up to 1800 MPH. The train is able to go so fast thanks to its use of a vacuum tube, which eliminates the air resistance that holds back other maglev trains. By enclosing the train in a tube, the air resistance is reduced by a factor of up to ten times less that of other maglevs. According to Dr. Zigang, more than 83 percent of a train’s energy is wasted by air resistance once a train reaches speeds of 250 MPH. 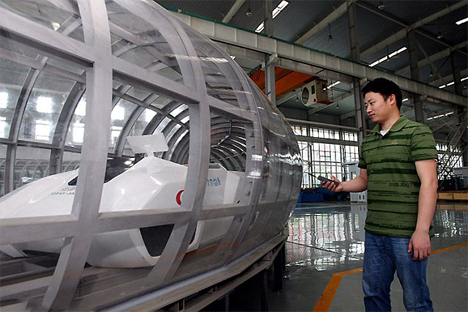 The Evacuated Tube Transport (ETT) system could eventually be used in commuter systems, but for now the inventor sees it as first being used in military and space launch environments. If the idea eventually becomes a real commuting option, it seems like “my train was running late” will never be a viable excuse for arriving late to work in China ever again. See more in Concept Vehicles or under Transportation. May, 2014.